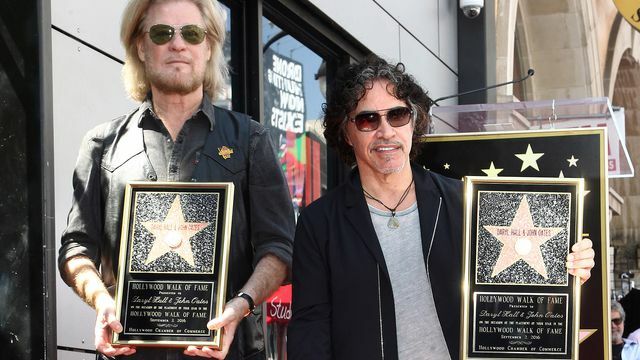 Congratulations to Daryl Hall & John Oates for being welcomed to the Hollywood Walk of Fame with the 2,587th star. With six No. 1 hits, 34 chart hits on “U.S. Billboard Hot 100,” seven platinum albums and six gold albums, the duo has sold more than 40 million albums worldwide.Billboard magazine named them the most successful duo of the rock era, surpassing the Everly Brothers. Hall & Oates was inducted into the Rock & Roll Hall of Fame in 2014. “We are proud to welcome Daryl Hall and John Oates to the world-famous Walk of Fame. Fans from all over the world are excited to know that these two great music influencers will be immortalized in history with a star in the Hollywood Walk of Fame,” said Leron Gubler, President/CEO of the Hollywood Chamber of Commerce. For the latest news and tour information, visit Hall & Oates.